With public EV charging infrastructure achieving critical mass in the city of Shenzhen, China, BYD announced that starting today their popular five-passenger, long-range, all-electric cross-over vehicle, the BYD e6, will be available for consumer purchases (previously available for fleet purchases). Consumers in Shenzhen will receive a substantial government subsidy — equivalent to about $18,000 USD (or 120,000 RMB) — and the e6 unsubsidized price will start at ~$56,900 (or 369,800 RMB). The final price to consumers will be ~$38,430 (or 249,800 RMB). This is the very first domestic, long-range, all-electric vehicle for sale to consumers in China. 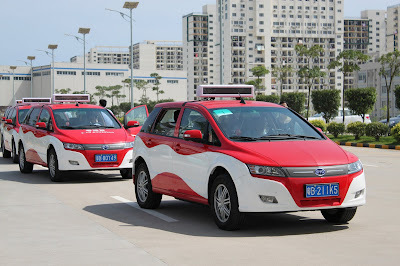 BYD e6s are a familiar sight in Shenzhen and have been in operation in government and taxi fleets for nearly 18 months. The Shenzhen taxi fleet, using BYD’s e6 exclusively, have accumulated over 3.8 million fleet miles (or 6 million Km) — many of these single e6’s with mileage over 100,000 miles (or 160,000 Km). BYD estimates that this single-car-mileage is equivalent to over 10 years’ usage for real-world consumers. The excellent quality and success of the e6 and the stable battery performance have now been recognized by operators and consumers alike in Shenzhen. Powered by BYD’s independently developed Iron-Phosphate (or “FE”) batteries, BYD’s e6 has a driving range of over 190 miles (or 300 Km) — the longest-driving-range, 5-passenger vehicle in its class and nearly double the range of its closest 4-seat competitor. In addition to the longest driving range, BYD also provides superior charging solutions for both consumers who want to charge at the rapid-charging stations in Shenzhen or own their own private parking and prefer to charge overnight or with renewable power. Together with China Southern Grid, one of the largest utility companies in China, BYD has promised to assist these consumers with charging cabinet installation. With the launch of the consumer e6, BYD is also deploying some new breakthrough technologies and high-end equipment as standard in this model. This launched e6 will implement the newly developed “i” System (also called “BYD-i”). BYD-i was researched and developed by BYD independently, allowing many vehicle functions to be performed remotely by smartphone and using cloud-data for high-tech driving assistance. “i” is an intelligent, in-vehicle, network platform, wirelessly capable of communicating your vehicle system’s information and providing remote-control access through your secure wireless devices. It achieves a secure-docking link that builds the next-generation “Car-Networking” infrastructure. “i” has a simple, intuitive interface with 24-hour online call center access and emergency services from thousands of our provider-partners. “i” becomes an information portal with terminal access to services like Keyless Entry System, DVD & Voice Navigation System, Mobile Digital TV and Rear Camera Parking Assistance. The new e6 is continuously connected to the internet and the mobile communication network through BYD-i, and therefore owners can utilize their smart phones to lock and unlock car doors remotely, initiate air-conditioning (to heat or cool the interior), location-based services (and vehicle location), search for news, or real-time information (stocks/flights/weather), as well as communicate with a service call center for help or time of accident. Seamless access to these cloud data functions, make the e6 the most advanced vehicle in its class — a forerunner and a standard-bearer again in the digital revolution. 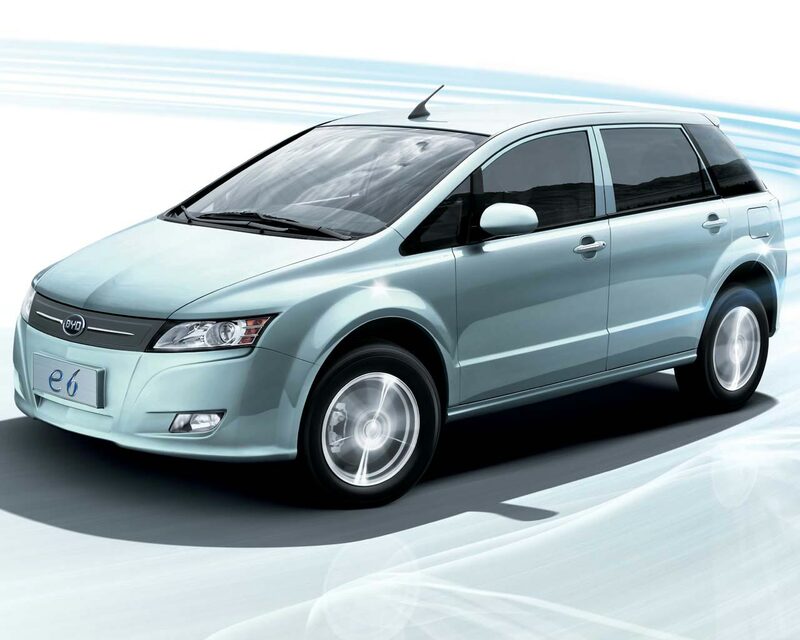 On Dec. 15, 2008, the BYD F3DM was launched as the world’s first dual-mode electric vehicle — F3DM sales reached over 1,000 vehicles. In September 2010, BYD launched a 40ft (12M), long-range, all-electric eBUS in Changsha city and Shenzhen city. 300 e-Taxis (using the BYD e6) and 200 e-BUSes joined the Shenzhen new energy fleet of the 2011 Universiade in Shenzhen in August 2011 with global fanfare. The launch of the new BYD e6 for consumers further marks BYD’s commitment to electrified transportation solutions.